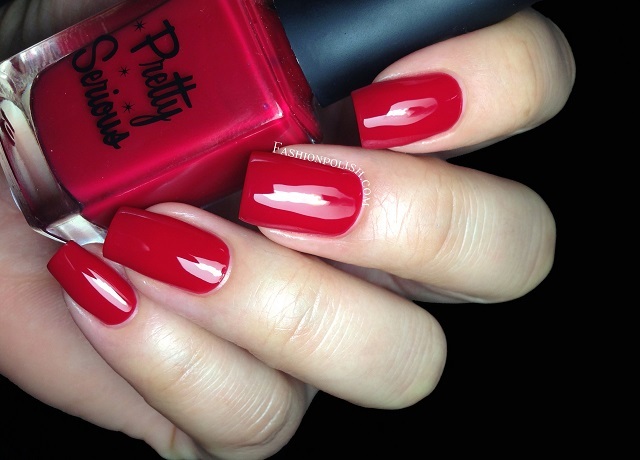 Fashion Polish: Pretty Serious Hit the Road Collection! Pretty Serious Hit the Road Collection! Oh wow! I'm so sorry, I didn't mean to disappear for so long... I have SO many things to show you girls but days just seem to fly by lately! 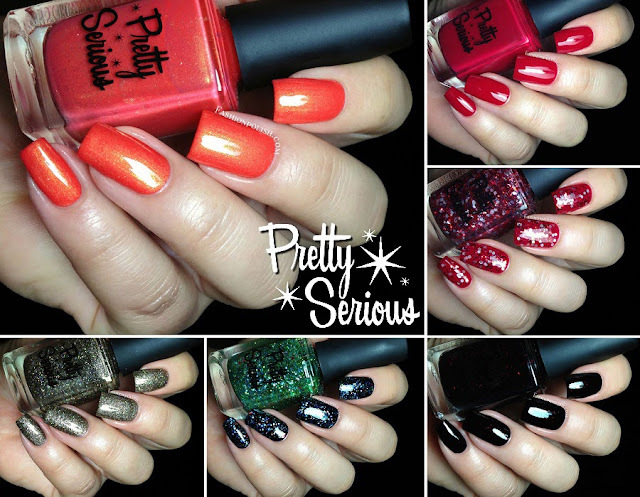 Today I have the latest Pretty Serious collection to show you. How does that sound? Awesome, right? I really love Pretty Serious, I've always been impressed by the quality of their products but if I should pick one thing that characterizes them, it would most definitely be their unique universe! 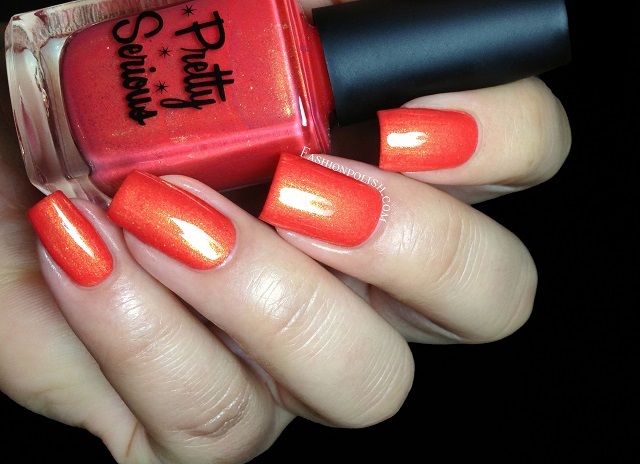 Generally Hazzardous is a super hot orange with a strong gold shimmer. I love orange, no matter the season and this one's just breathtaking! Formula was perfect and used 2 very thin coats in my swatch here. Hell on Wheels is a bright blue based red crelly (creme/jelly), classic but intense! Shine and formula were fabulous in this one, offering the easiest application ever. I used 2 coats here as well. Something Strange (over Hell on Wheels) is a mix of different sizes of red, white and blue hex glitters in a clear base. I can't think of anything like it and it makes a really nice layering color. I dabbed one coat below, no fishing necessary. 88mph is an extremely dense antique gold foil packed with holographic sparkles. It's super intense IRL, especially the holo effect! I used 2 thin coats without any undies, it's so opaque that layering it would be completely pointless anyway... Are you ready for glitter overload? Party Time! Excellent! is a multicolored topper : overal green but consisting of gold, cyan, blue and red glitters in a clear base. 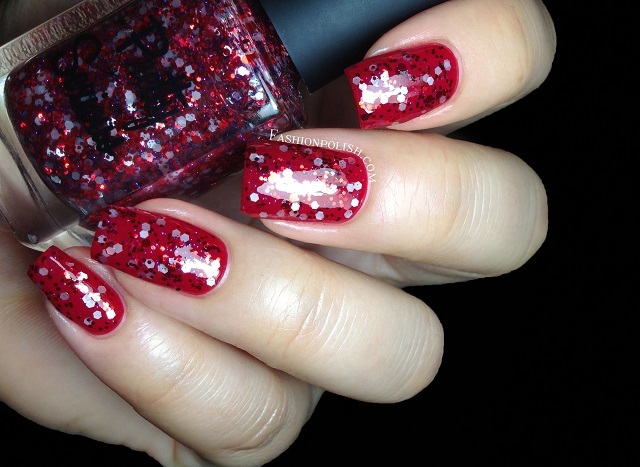 It reminds me of Christmas somehow and I can't help but think it would be a perfect take on the regular X-Mas glitter. I also used one dabbed coat in my swatch here, over black this time. 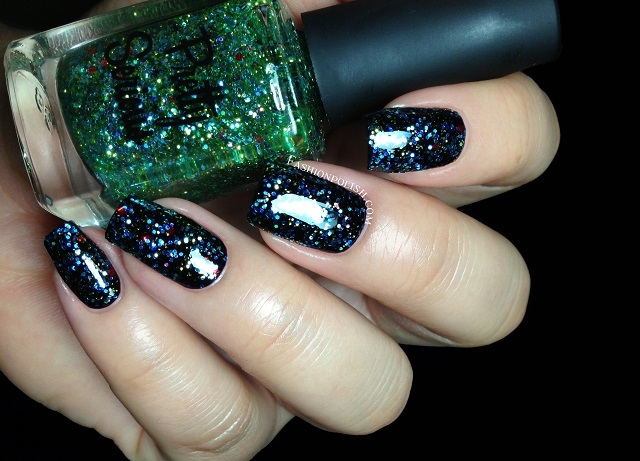 Turbo Boost is a mix of really small red bar glitters in a black eggplant base (basically black at 2 coats). 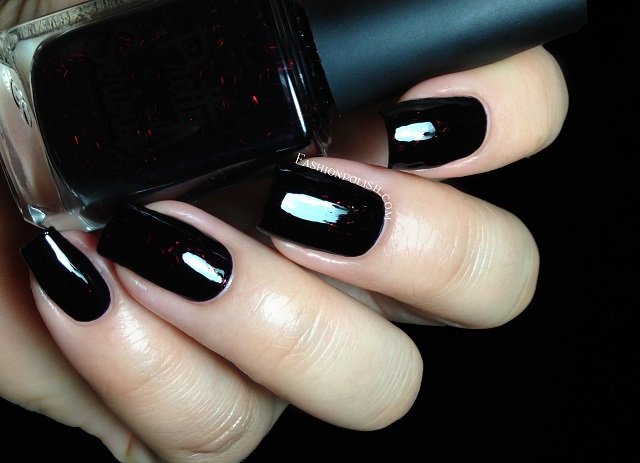 I love black polish and this one's particularly unique, love it! Formula was on the thick side here so I'd recommend working fast and avoiding going over the same area more than necessary. Two coats plus topcoat. The Pretty Serious Hit the Road Collection is already available for purchase on pretty-serious.com and retails for $9.95 each or $53.75 for the full set. What do you think about these? Have you ever tried Pretty Serious?